Industrial projects require specific design parameters within limited space to be delivered within a tight budget and short time frame. 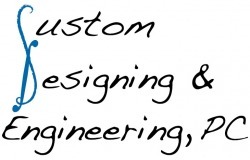 The staff of Custom Designing & Engineering strives to balance all of these competing forces into opportunities for innovative engineering. Custom Designing & Engineering engineered the 145,000 square foot addition to the existing manufacturing/office/warehouse facility in Flanders, NJ. This project has been designed to achieve LEED Silver Certification from the USGBC. The design included the use of highly efficient evaporative cooled rooftop units, premium efficiency fans, and LED lighting to reduce overall energy consumption. CD&E performed the Whole Building Energy Simulation to calculate more than a 24% reduction in energy usage compared to baseline ASHRAE Standards. Increased ventilation rates and improved filtration were utilized to achieve greater levels of Indoor Air Quality. Sophisticated building controls and monitoring were implemented to maintain the rigid requirements for temperature, humidity, and airflow requested by the client. The design also included the use of waterless urinals with low flow faucets and flush valves to achieve more than a 50% reduction in water usage. 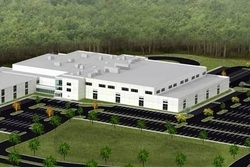 Custom Designing & Engineering designed the tenant fit out for the 8,700 square foot light industrial and office space. This project required careful coordination with the manufacturing equipment layout for power and compressed air requirements. The design also incorporated high efficiency T-5 lighting on the production floor for adequate light levels at the work area and lower energy costs.